Thanksgiving is around the corner, and that means you will be seeing everyone you haven’t seen throughout the year to catch up on life. Along with being in the presence of everyone you love and hate, you will also have to look somewhat presentable. It is the one day of the year when, if you have aunts and sisters like mine who will comment on things such as, “Emma sweetie, your acne has gotten worse since last year. What are you doing to your skin?” you will want to make sure you look as decent as possible to not have that conversation. Or, you could also be hitting your old neighborhood bar with the hopes of running into your eighth grade crush, who asked you the dance but then reneged his offer 30 minutes before. So it is only natural that you want to look decent if not really great to feel comfortable and confident. 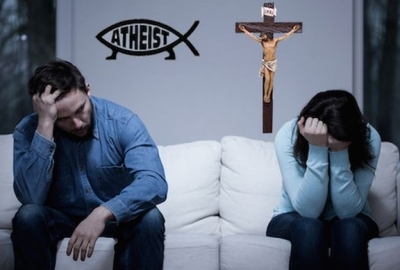 Also, let’s not forget you could be in a “meeting the parents” situation. I am sorry to say your nightclub makeup or heavy eyeliner just will not do for these types of situations. You have to keep it casual and neutral, so that the family can see you are a natural beauty with none of that extra-ness, which admittedly you do have with those heavy lashes and pouty lips. Remember, this is family not the nightclub. Since Thanksgiving usually means you will be in a kitchen all day helping, you will want to make sure your face does not get oily. 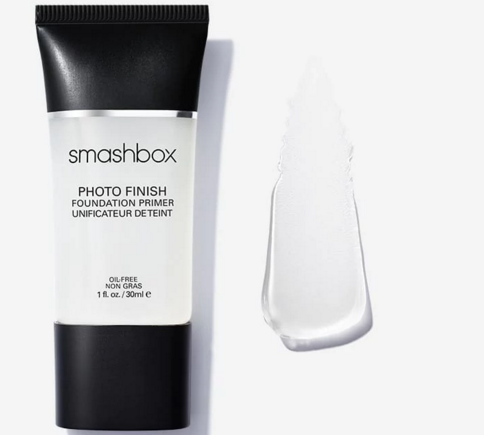 Try Smashbox’s Photo Finish Foundation Primer before you put on your makeup. It will make sure your makeup stays matte, lasts long hours in the kitchen and doesn’t get oily or drippy while going in and out of the oven. Instead of wearing eyeshadow, since it will most likely crease, you can opt for a good liner that will stay put. 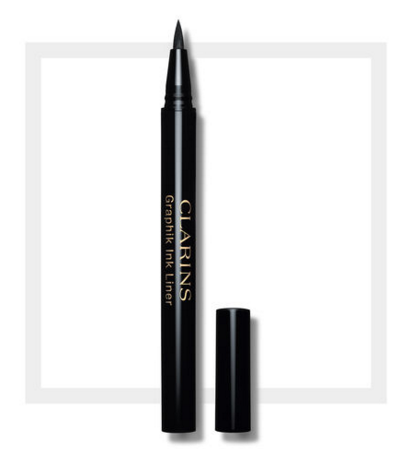 Clarins’ Graphik Ink Liner Liquid Eyeliner Pen can go from subtle to dramatic. For Thanksgiving you will want to apply a thin line close to your lashes, which will be dark, but look natural. This liner lasts for hours and is also transfer resistant. Not to mention its pointed tip, which is like a marker, makes it easy to make a very thin line. Be sure to let it dry for two minutes before doing anything else to your eyes. You will want to use a waterproof mascara to make sure your eyes don’t drip from all the humidity in the kitchen too. Try, Buxom Lash Waterproof Mascara, which is also smudge-free. This will give your lashes a nice, spread out look, but nothing too dramatic along with steering clear of the raccoon-eyes look. A lip primer is needed so your lipstick does not bleed onto napkins or disappear while eating all those pies. Your shiny, glossy lips will be wasted on napkins with all the taste-testing and eating you will be doing. You will need to use a good lip primer and long lasting lipstick. 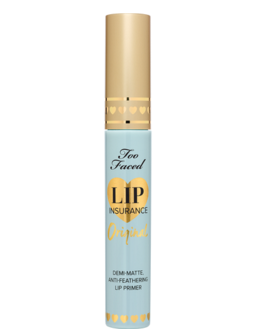 Too Faced’s Lip Insurance Lip Primer goes on smooth and prevents any lipstick or gloss you apply over it from creasing, fading or bleeding out on napkins. Your lips will have whatever color you put on them throughout the night to the next day if you happen to fall into a deep slumber from all that tryptophan in your turkey. Last but not least, you will need to keep oil-absorbing sheets in your purse so that you do not look shiny in all those family photos. Hopefully you will not have been oily throughout the day or had your makeup run off if you have used these products, but just in case it is always good to have. Shiseido’s Pureness Oil-Control Blotting Paper includes hydroxyapatite, which is a potent oil absorbing ingredient. When you apply these powder-coated sheets, you can be sure that you will be looking super matte in your pictures. 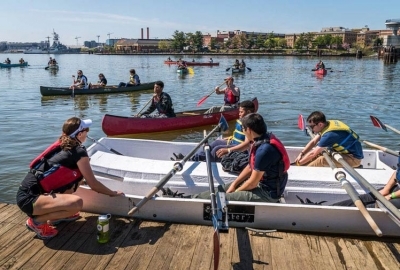 Born and raised in the DMV, Emma Blancovich has a big appreciation for discovering things to do around town, such as new restaurants to try and supporting the local music scene by attending live shows. 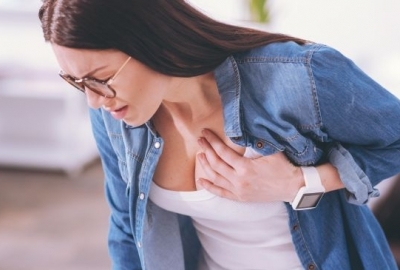 During the week she is an editor for trade associations, but on the weekends you can find her hiking up trails with the latest fitness gadgets then getting ready for a night out using the latest beauty and health products.